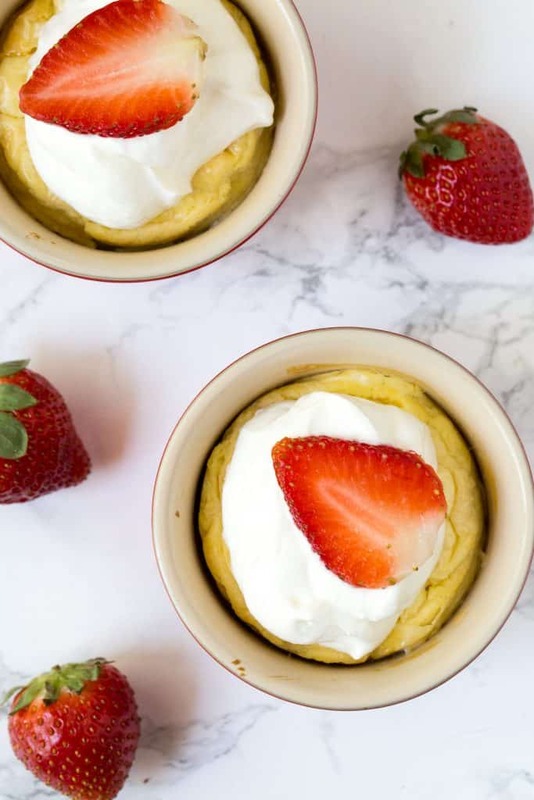 These Mini Keto Cheesecakes are a must-have Keto Dessert. 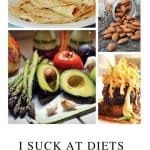 Holidays, parties and family events can feel frustrating when you are on a diet. I remember feeling like all I could eat was a bowl of strawberries on my birthday or else my diet would be ruined. 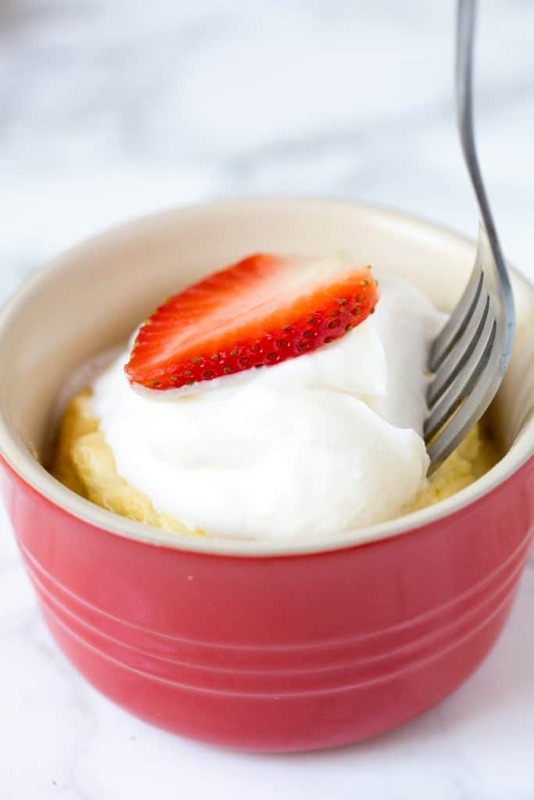 Luckily there are so many great dessert ideas that taste great but also help you stick to your diet. 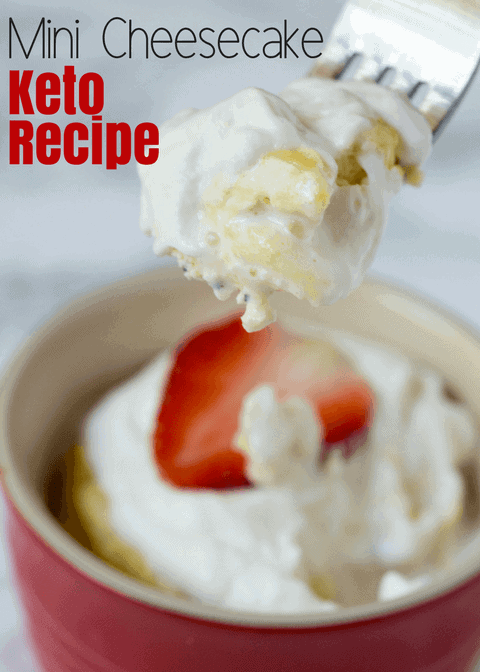 If you are on the Keto Diet, you can find all kinds of Keto Dessert Recipes that help you eat right but fight your sweet tooth. 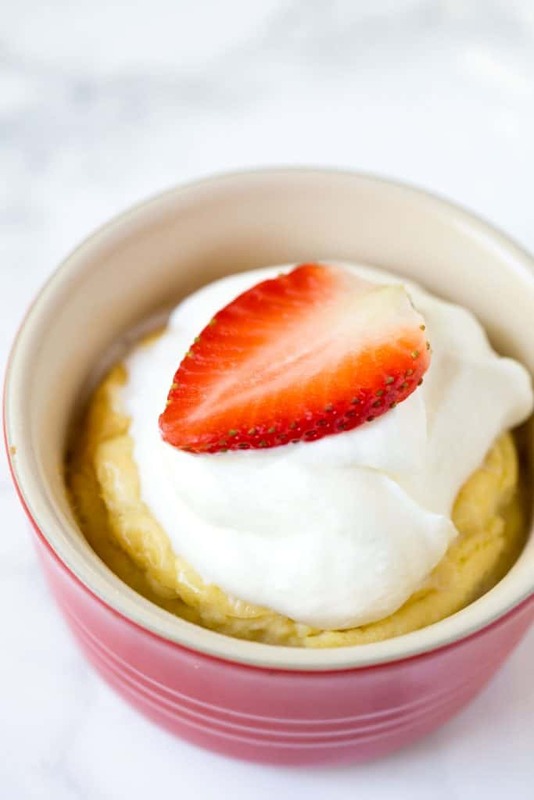 If you are a cheesecake lover like myself, you will love these delicious mini Cheesecakes. 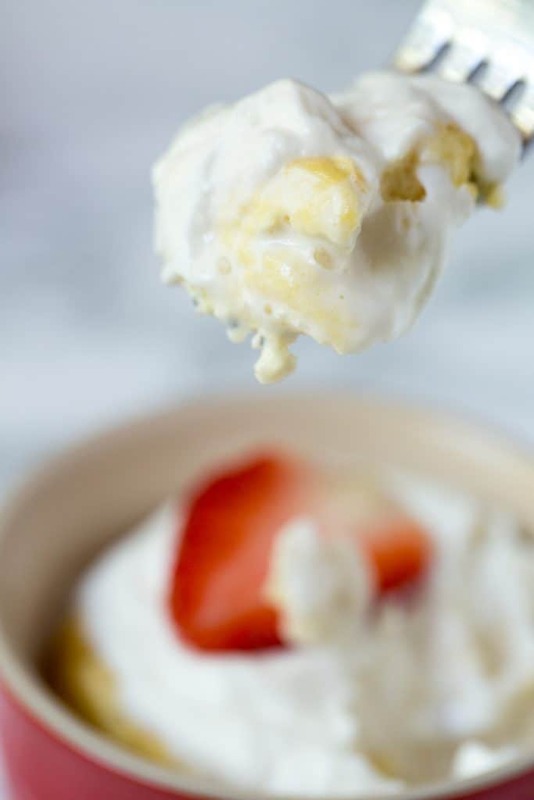 In a medium bowl add cream cheese, egg and vanilla. Blend until smooth. 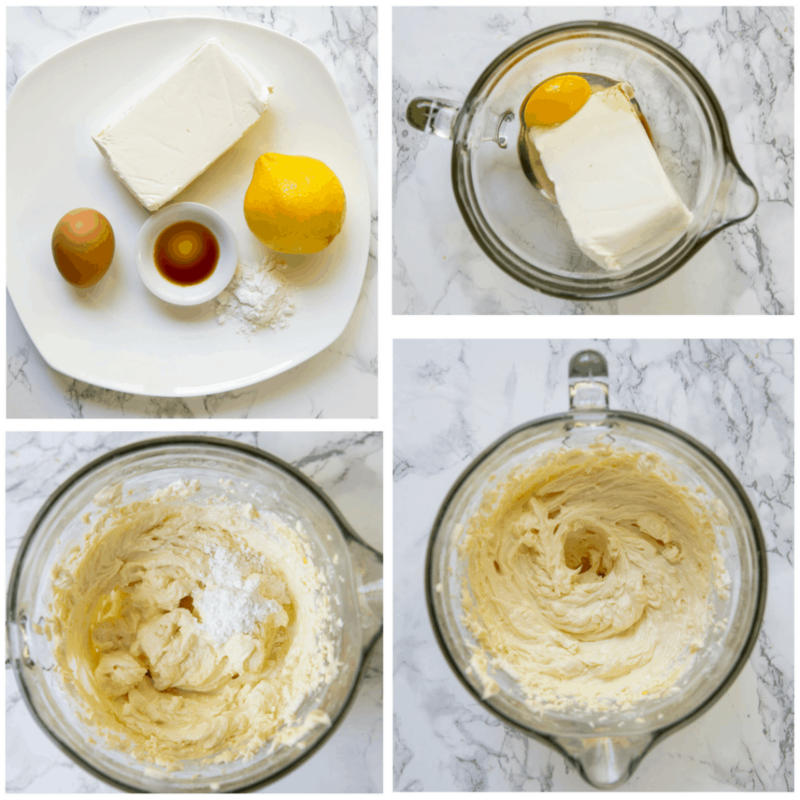 Add in lemon juice and sweeteners. Mix until combined. 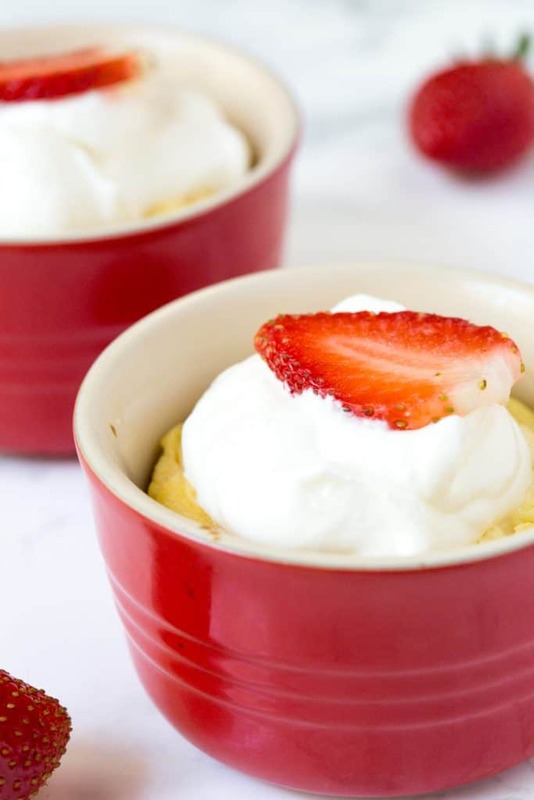 Grease 2 8oz ramekins with avocado oil or coconut oil. 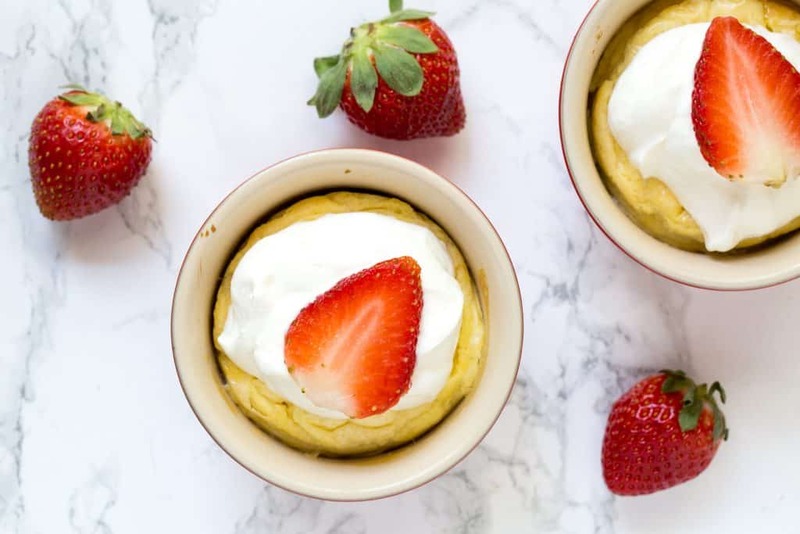 Pour batter evenly into ramekins. Bake at 350F for 15-20 minutes. 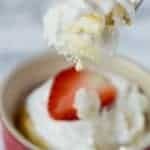 Garnish with fresh berries or other low carb Whipped Cream topping. Add all ingredients into a medium bowl. Whip ~3 minutes with a hand mixer until soft peaks form. Garnish with fresh berries or other low carb toppings.